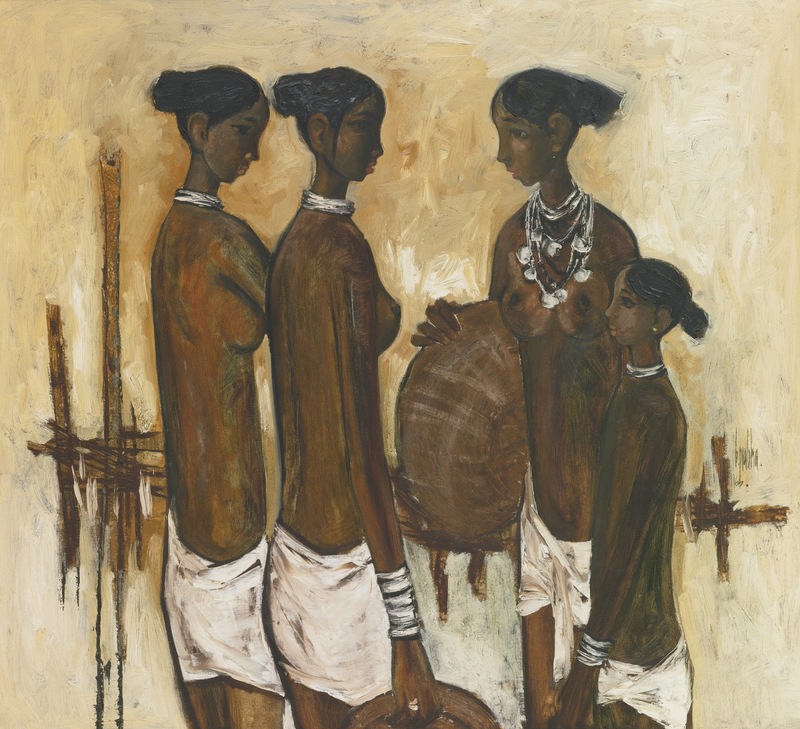 B. Prabha (1933-2001) was a major Indian artist who worked mainly in oil, in an instantly recognizable style. 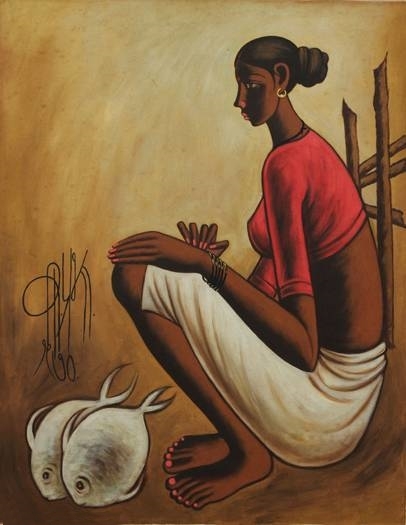 She is best known for graceful elongated figures of pensive rural women, with each canvas in a single dominant color. 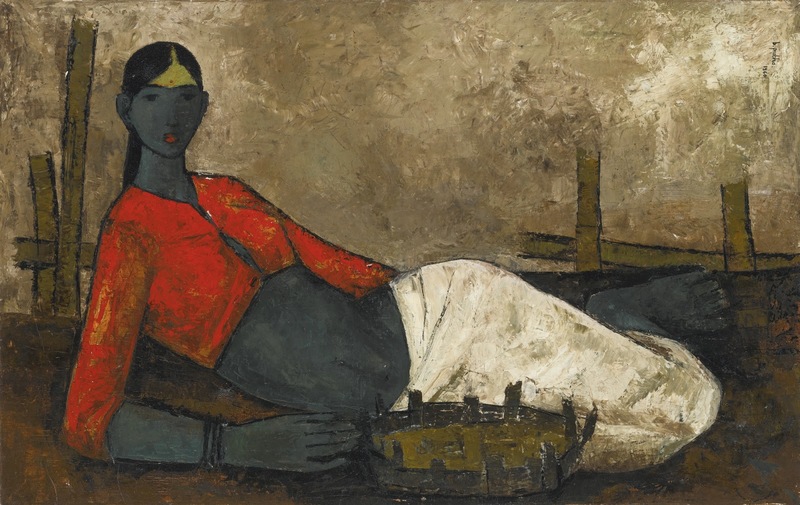 By the time of her death, her work had been shown in over 50 exhibitions, and is in some important collections, including India's National Gallery of Modern Art. 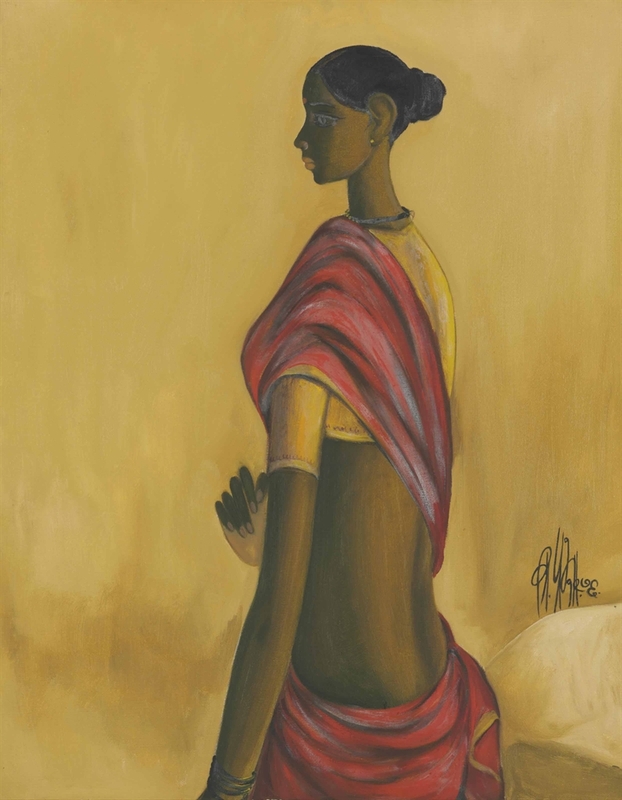 "It is my aim to paint the trauma and tragedy of women", - she said. 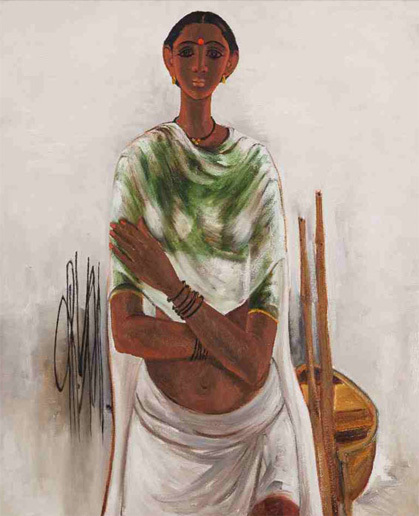 B. Prabha was born in the village of Bela, near Nagpur in Maharashtra in 1933. 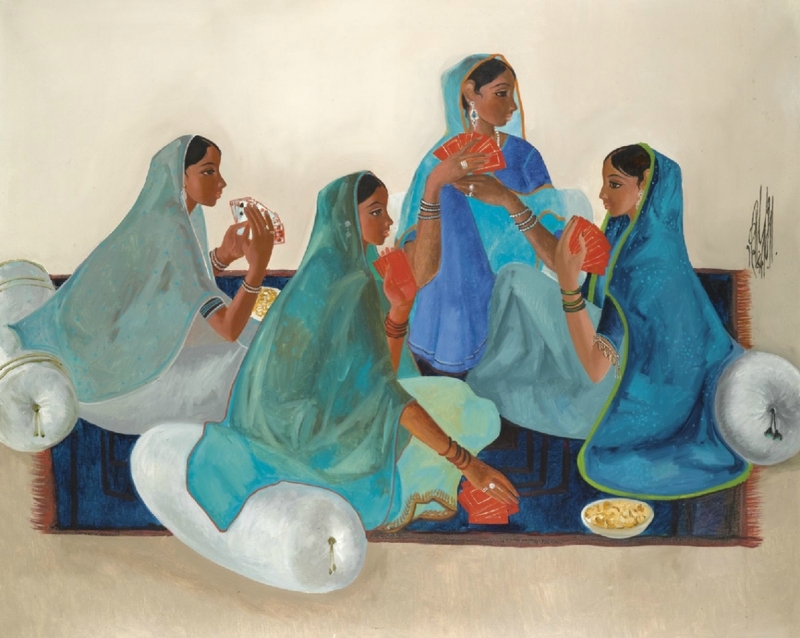 Growing up in a close-knit middle-class family, she studied at the Nagpur School of Art and went on pursue a Diploma in Painting and Mural Painting from the Sir J.J. School of Art, Mumbai. 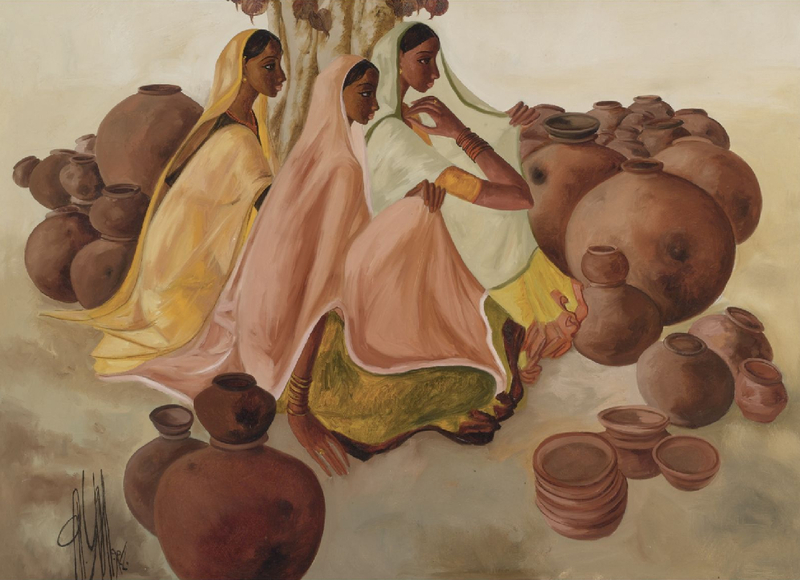 Although she worked mostly with oils on canvas, this modern painter did explore several media, styles and subjects before finally settling with oils as her preferred medium. 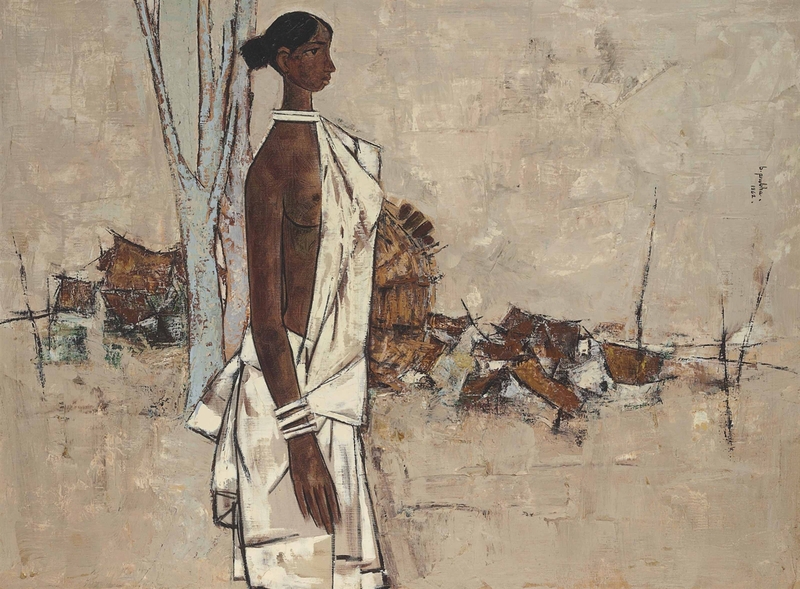 Following her phase of experimentation, Prabha developed an elegant, formal style that remains her trademark. 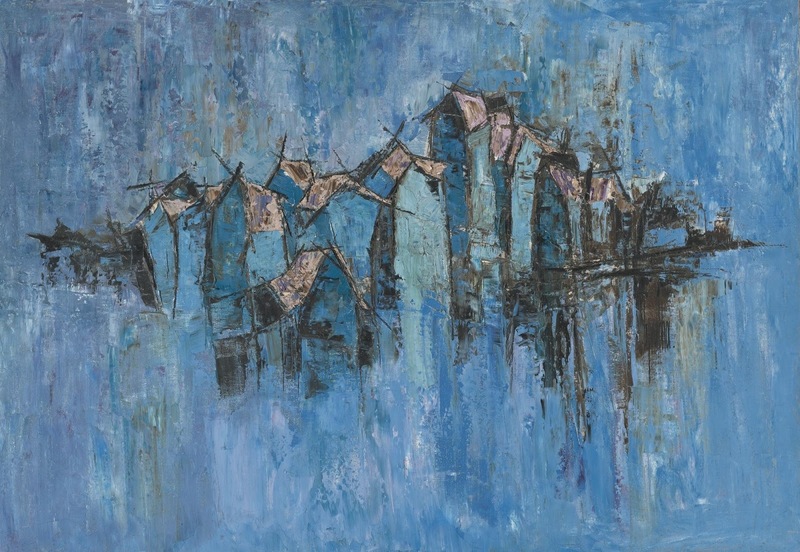 Her paintings cover a wide range of subjects, from landscapes to social issues like droughts, hunger and homelessness. 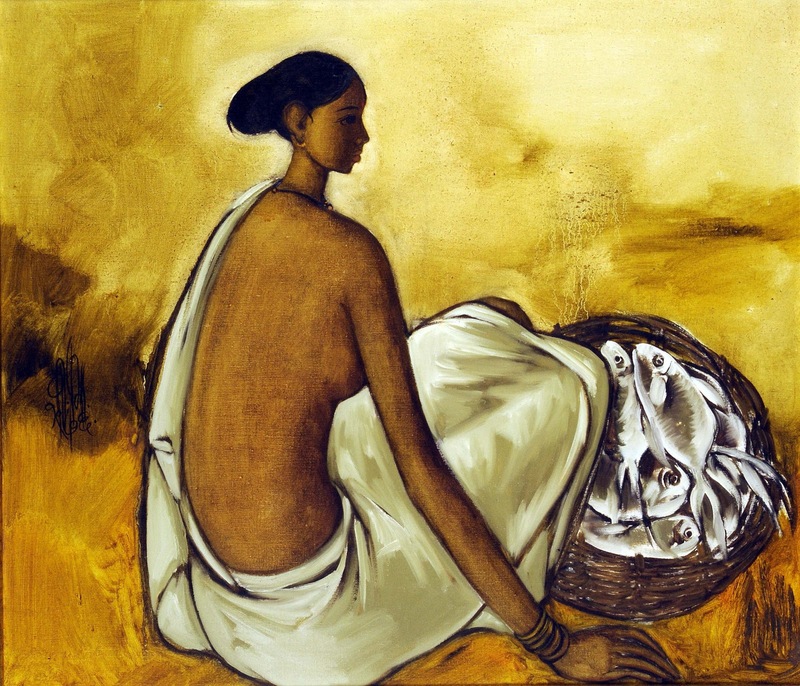 A significant component of Prabha’s body of work is the artist’s self-conscious attempt to immortalize the plight of women in her country. 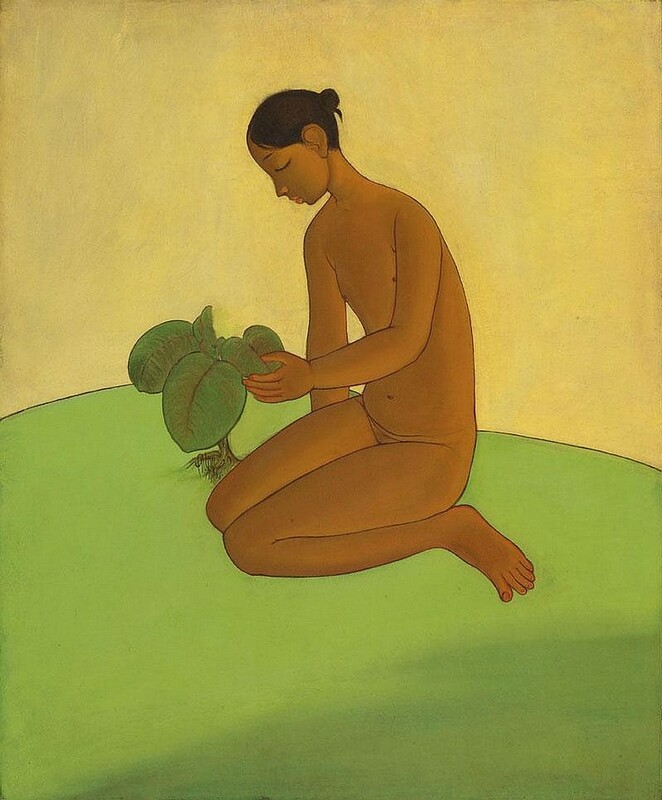 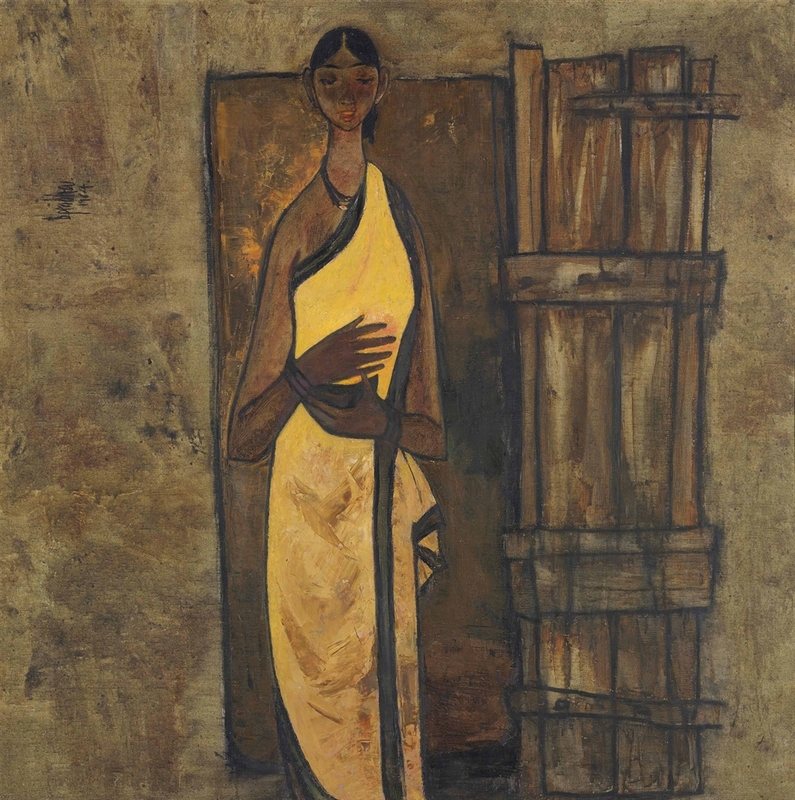 Prabha’s signature style fully evolved after her marriage to fellow artist B. Vithal in 1956, when she moved from modern abstract forms to a more decorative figuration. 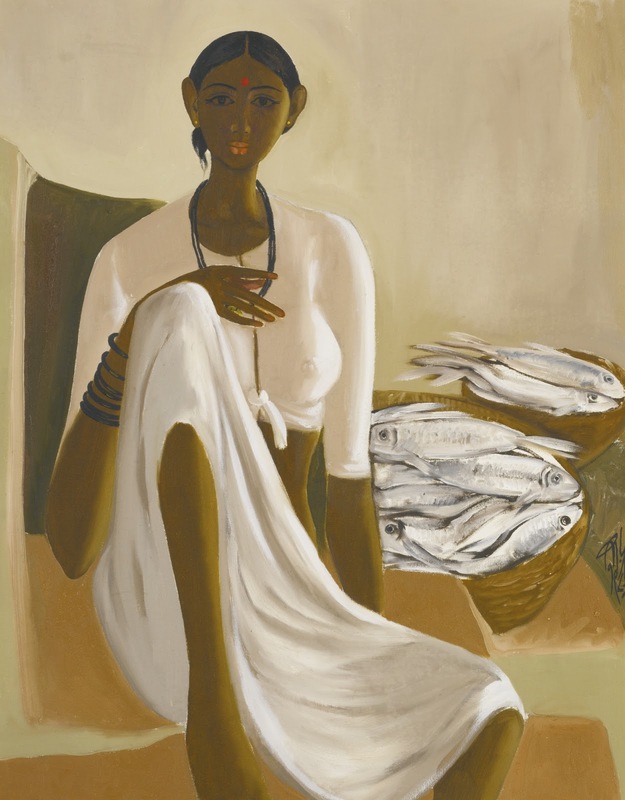 She held her first joint exhibition with her husband the same year. 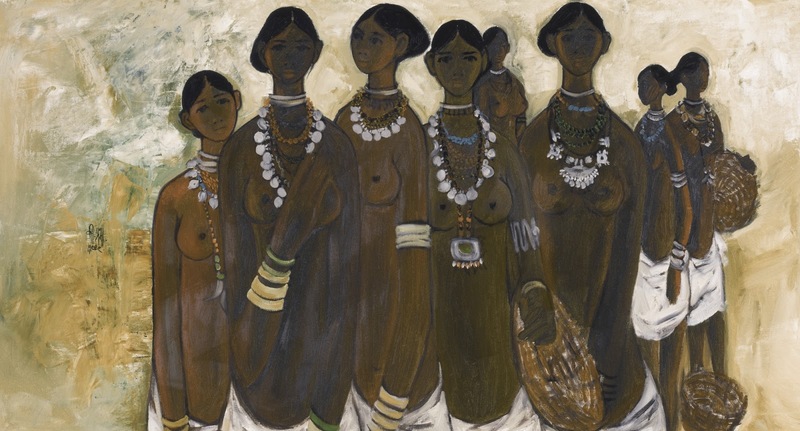 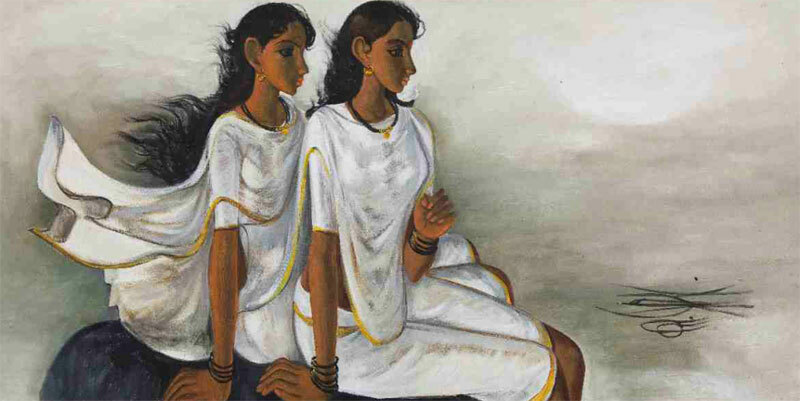 It is interesting to note that B. Prabha was a practicing female artist in an age where women were unapologetically oppressed, and it is no surprise therefore that Prabha used her own position as an artist to make strong comments on the same. 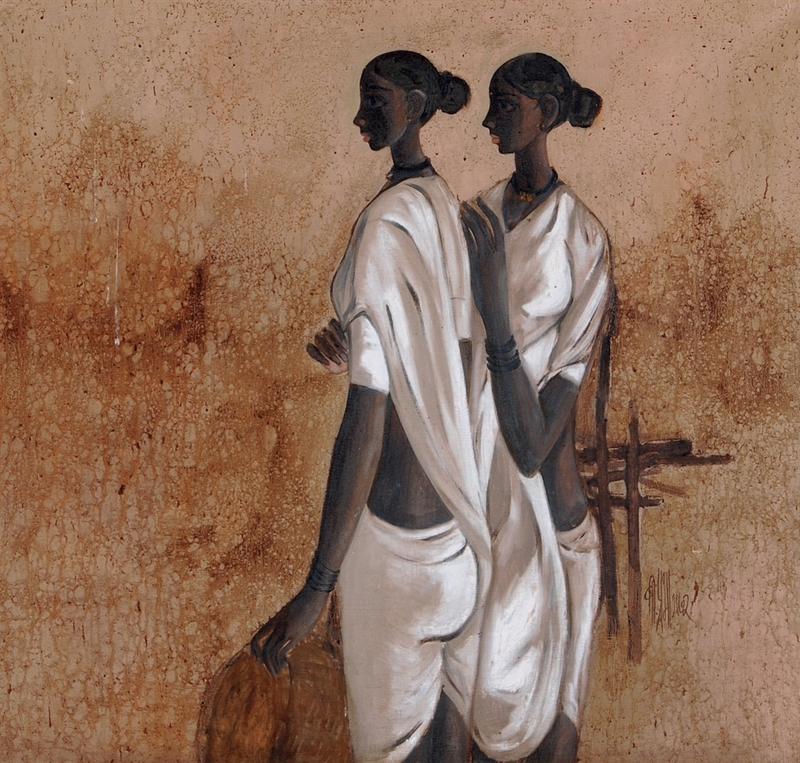 While her work today might seem like a simple documentation of the figures of rural women, it must be taken into account that a few decades ago these might have been odes to the spirit and the plight of these women. 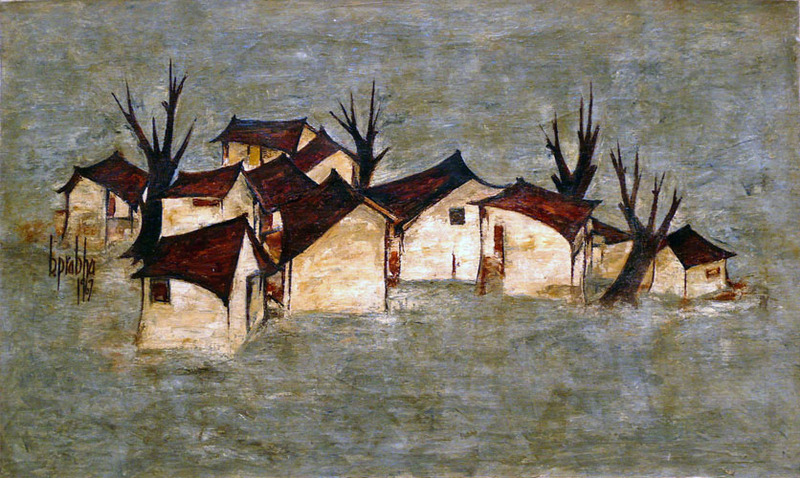 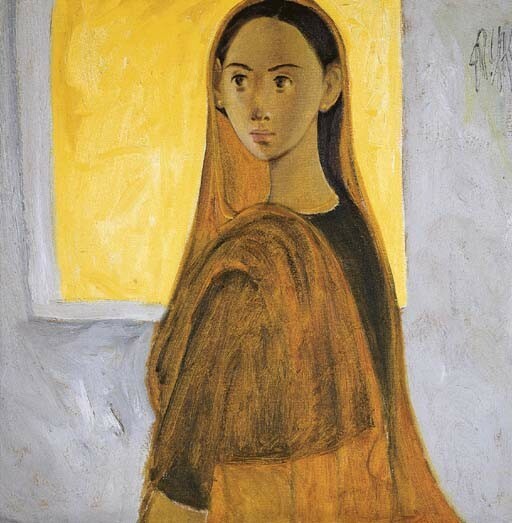 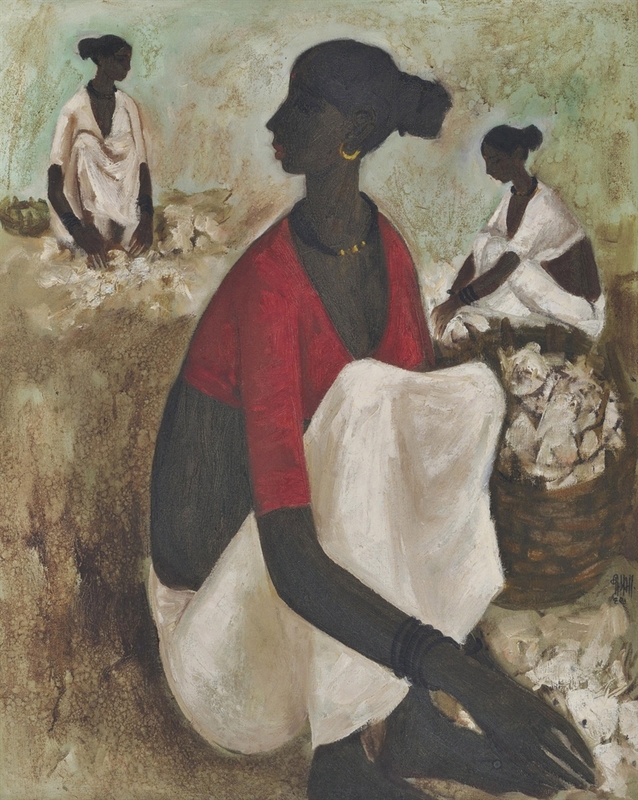 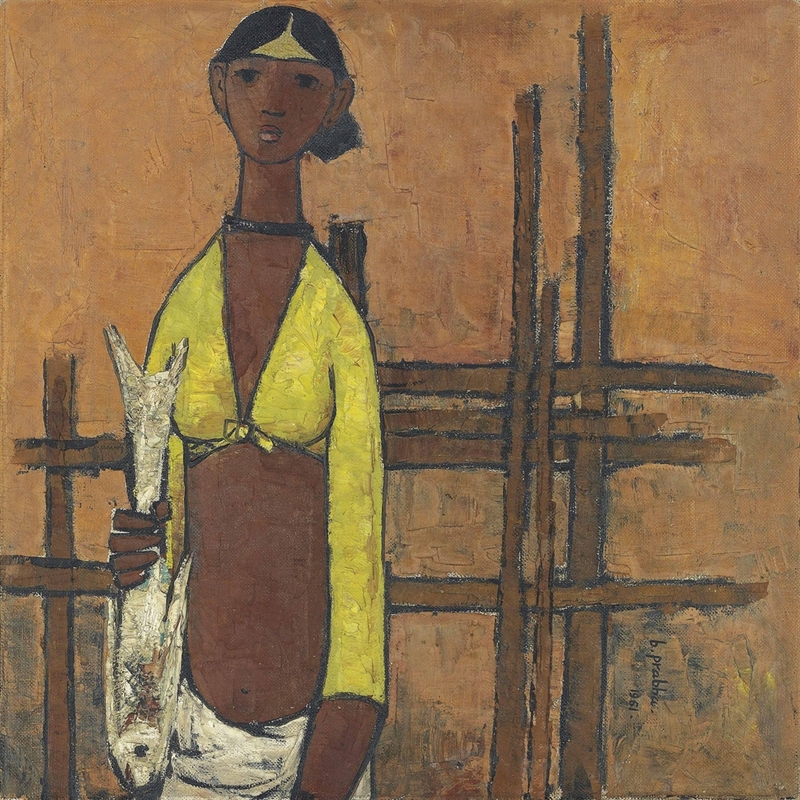 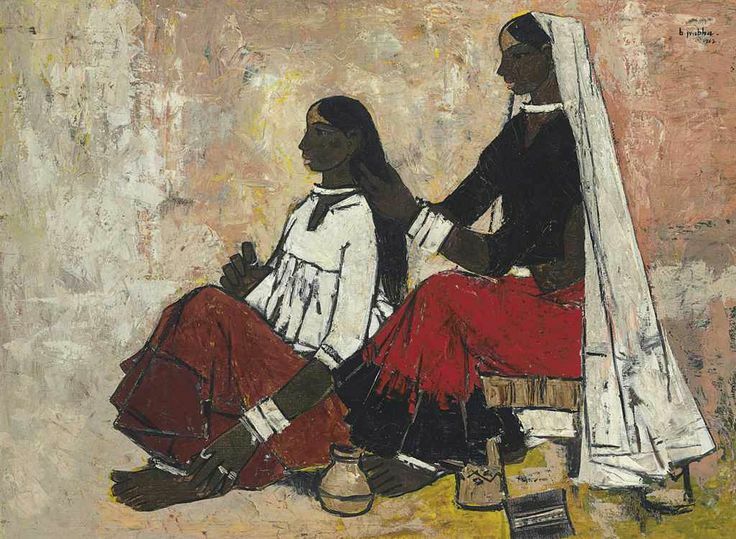 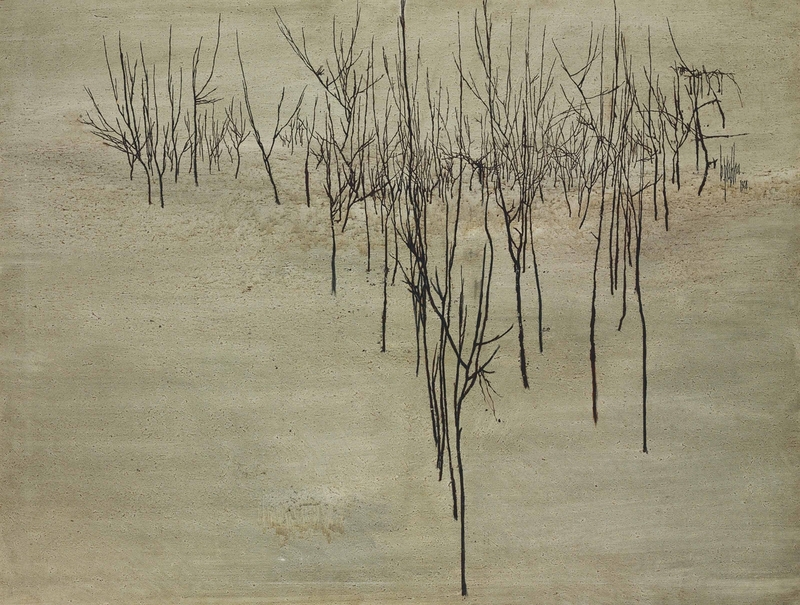 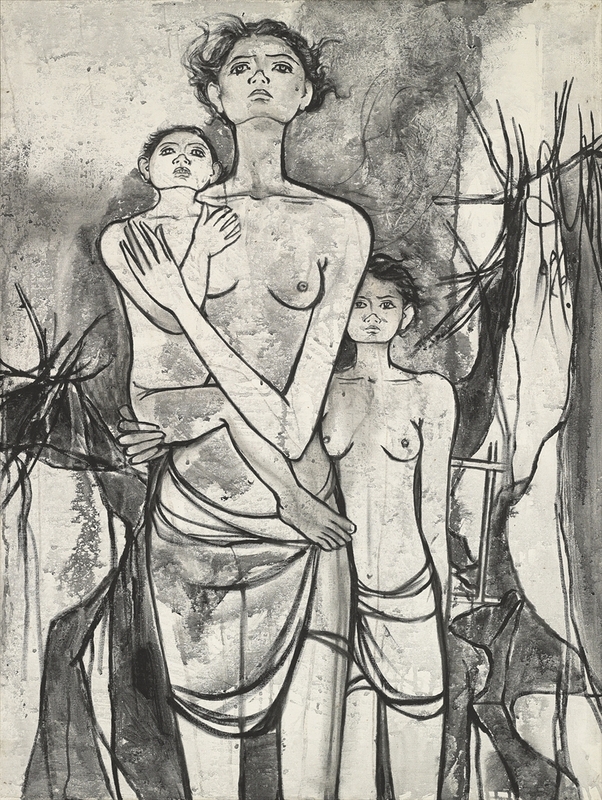 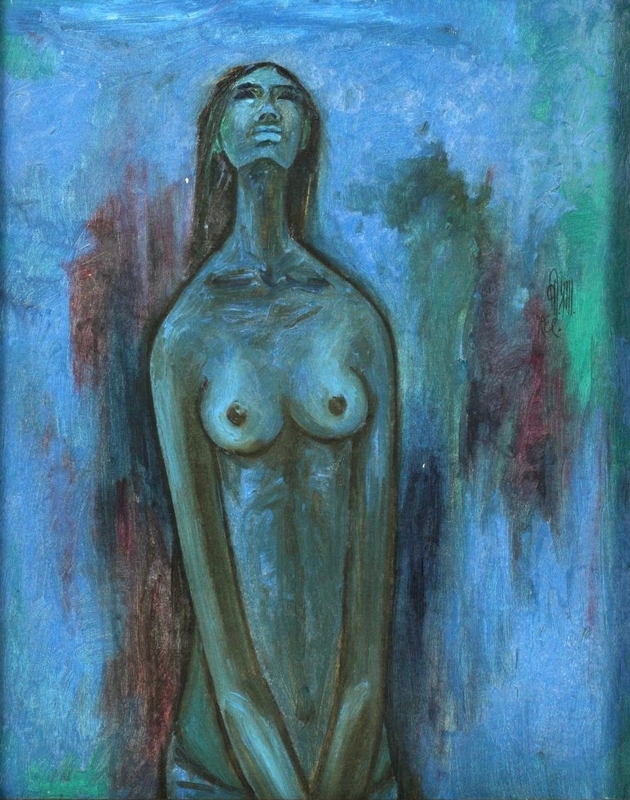 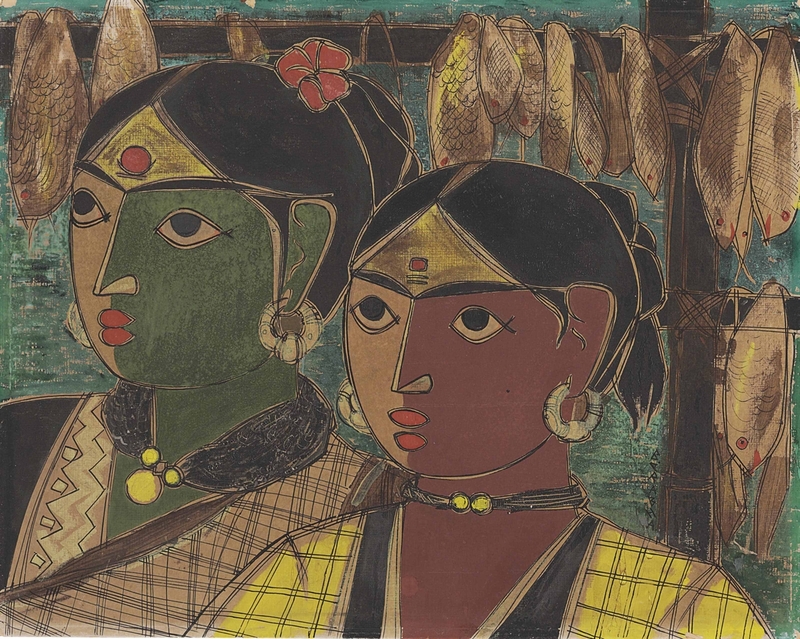 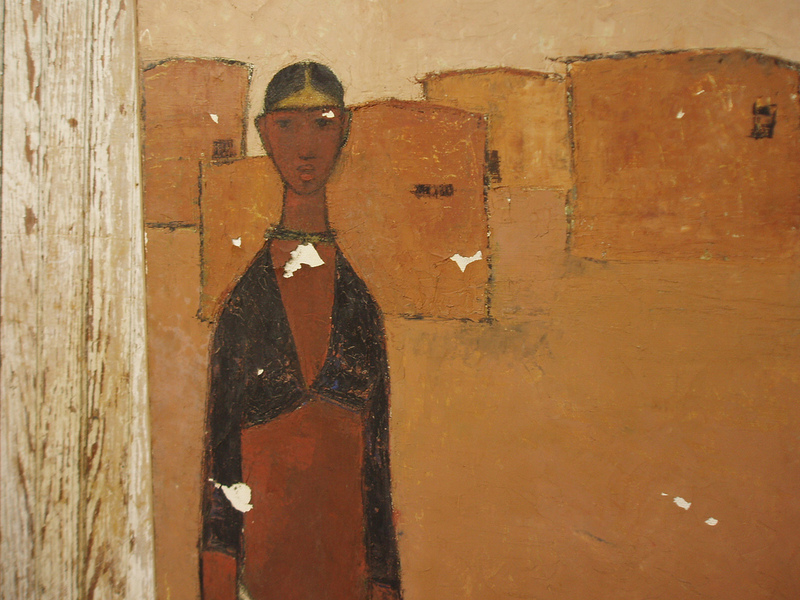 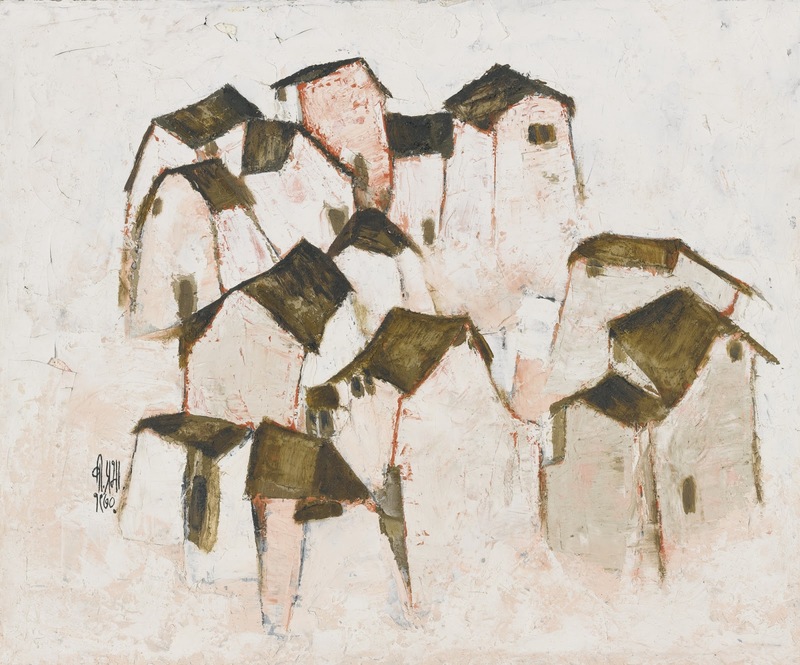 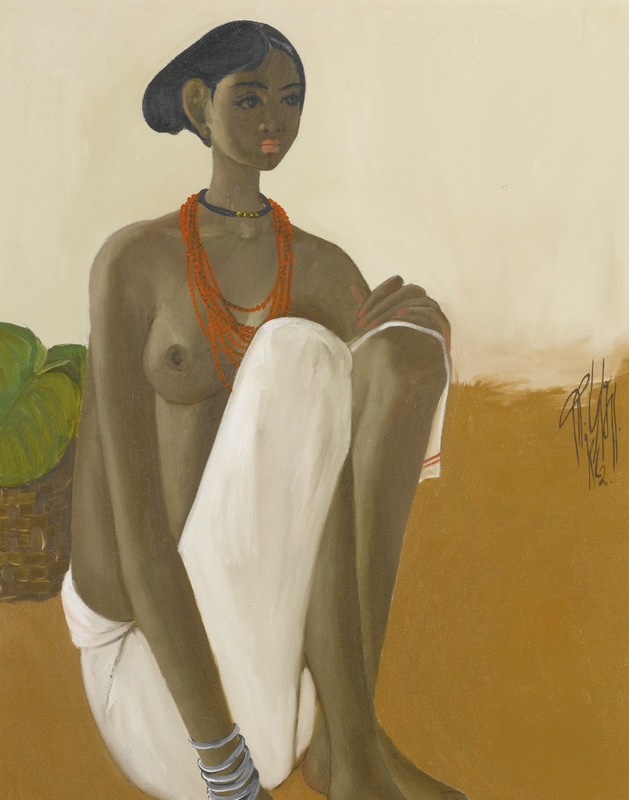 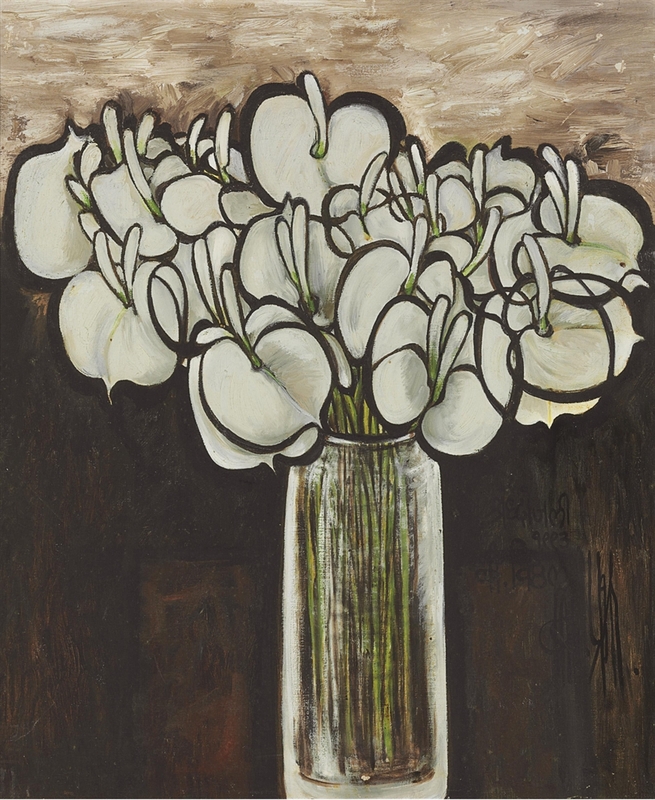 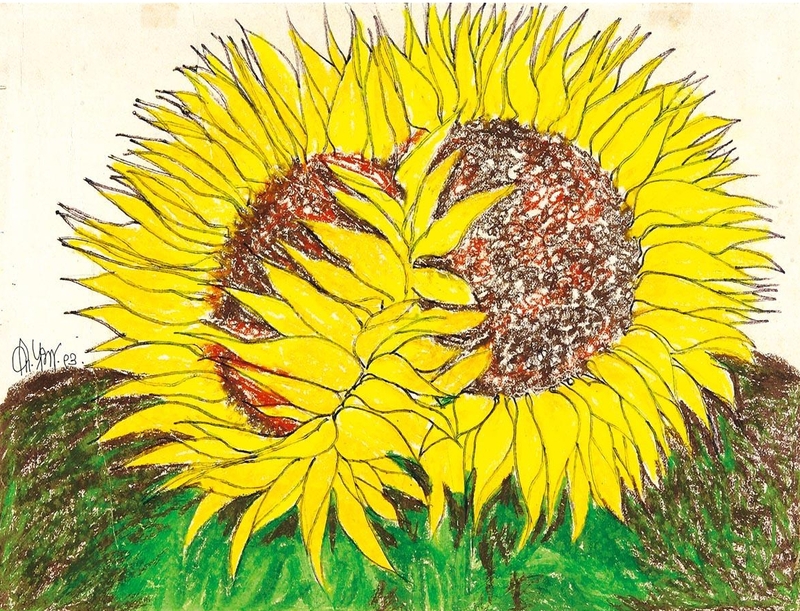 B. Prabha held two solo shows at Delhi’s Kumar Gallery in 1959 and 1961. 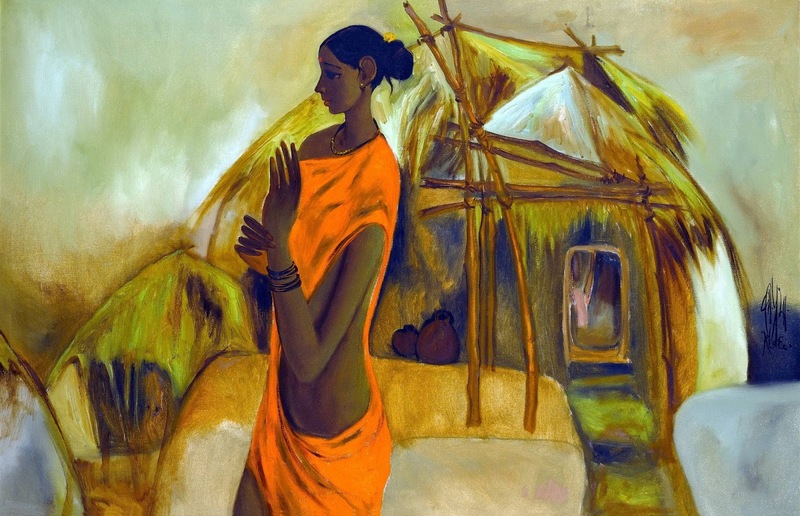 In 1993, her solo exhibition ‘Shradhanjali’ in Mumbai was dedicated to her late husband B. Vithal. 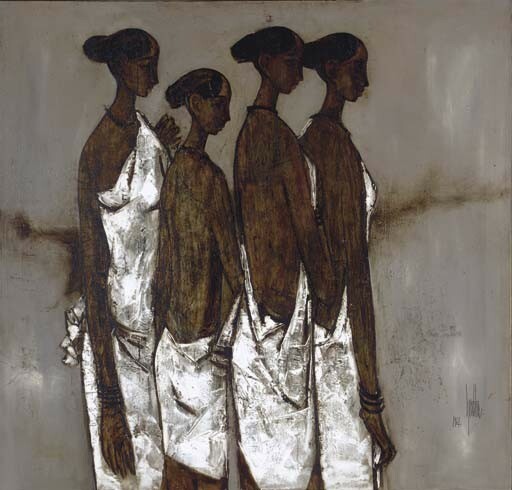 Prabha’s work was included in the group exhibition ‘Contemporary Indian Painters’ at Jehangir Art Gallery in Mumbai in 1996. 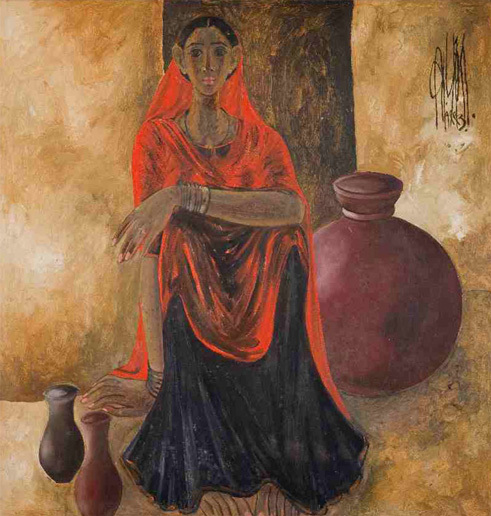 She was also a part of Bombay State Art Exhibition in 1958 where she was awarded the first prize. 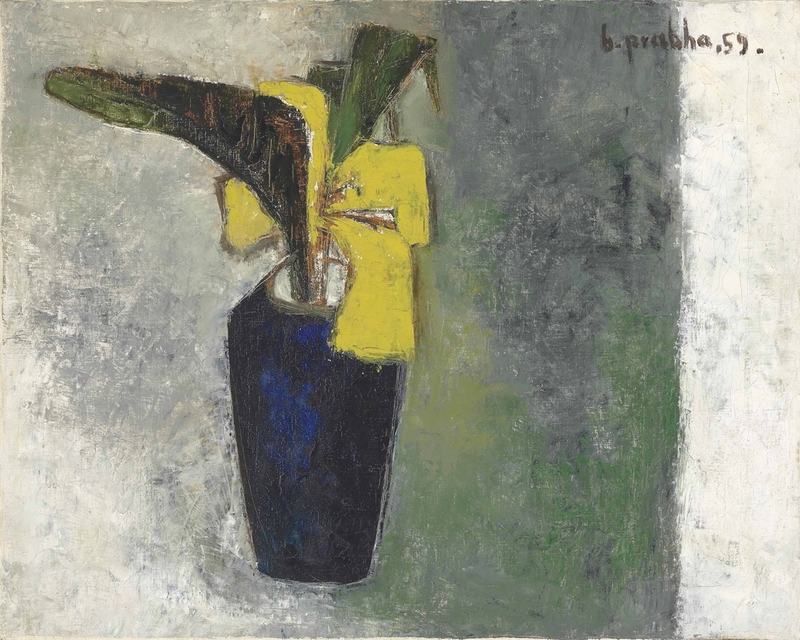 B. Prabha passed away in 2001. 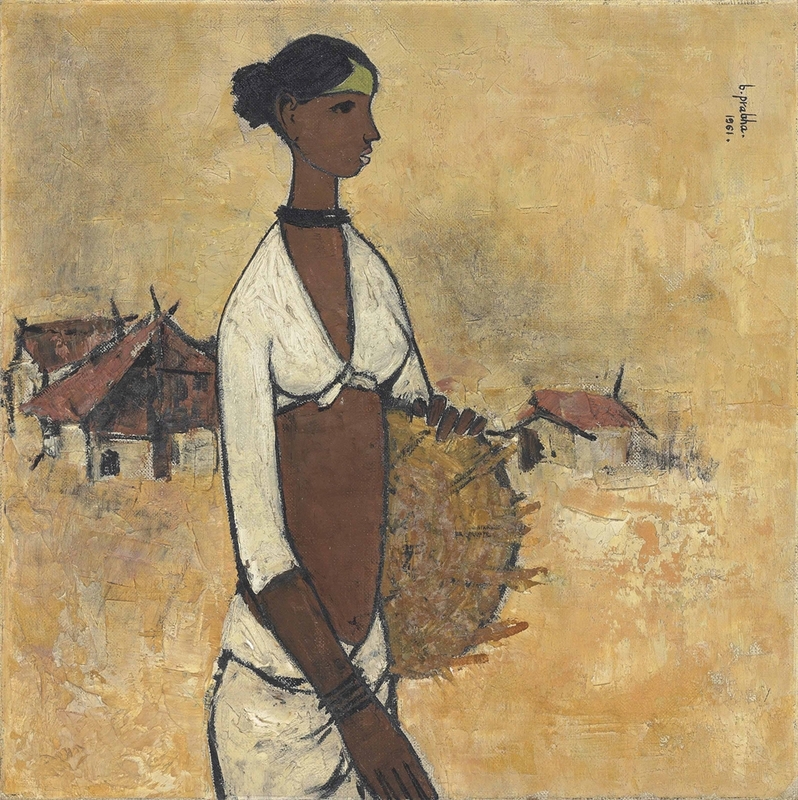 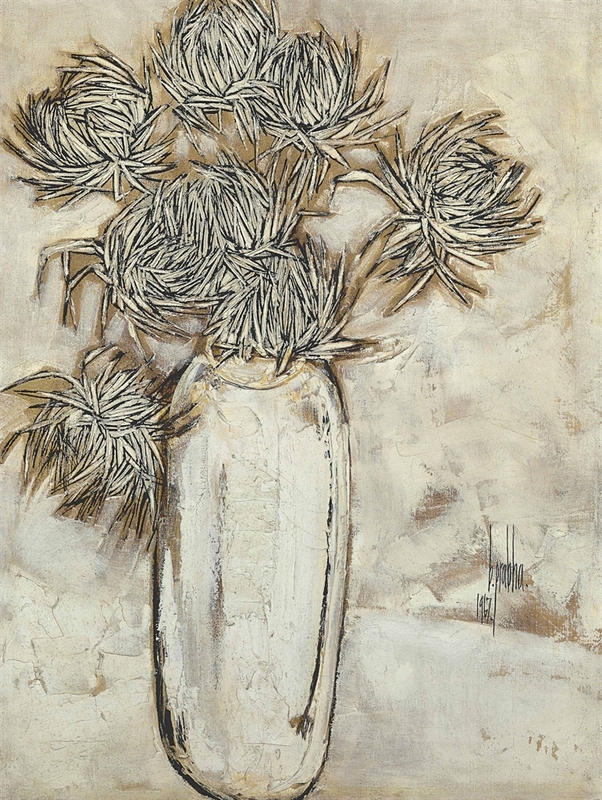 Posthumously, her work has been included in shows like ‘Winter Moderns’ at Aicon Gallery, New York; and ‘Pot Pourri’ at Gallery Beyond, Mumbai, both in 2008.